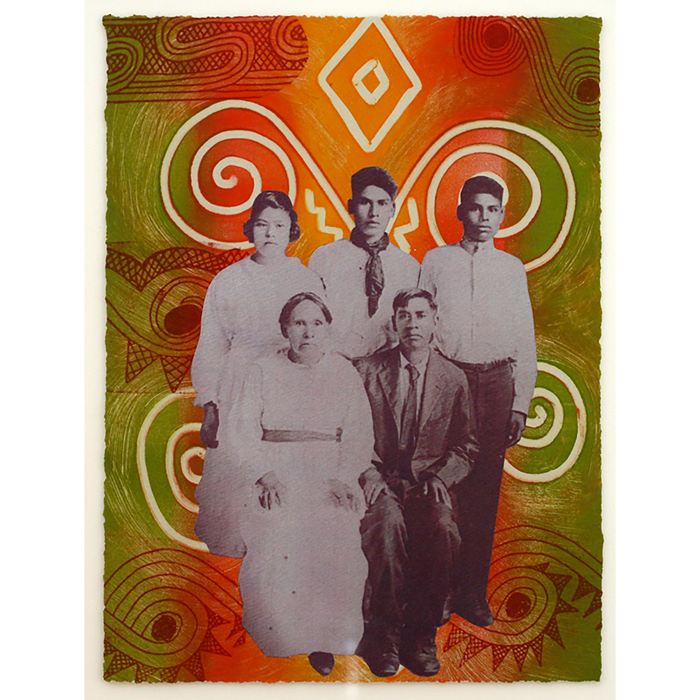 Through techniques of painting, print making, drawing and photography these works show Native artists skilfully embracing styles of european portraiture whilst retaining the narrative elements of traditional ‘Native’ art forms. As integral members of their communities the artists create intimate portrayals that are also expressions of individual and collective indigenous identity and life. Be they photographs of relatives, paintings of fellow tribal members, or biographical representations of contemporary or historical figures, subjects are never mere subject matter. This exhibition boldly affirms the existence of generations of well-educated, informed, articulate and talented Indian artists who celebrate their cultures and claim a voice and an opinion in the modern world.